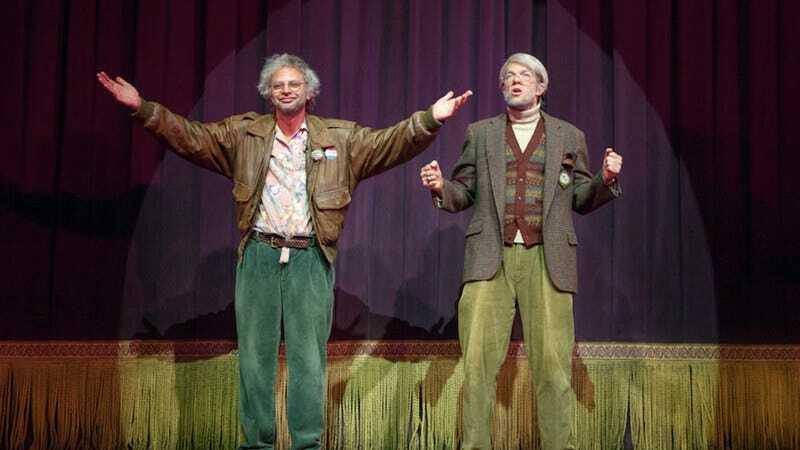 Oh, Hello On Broadway (Netflix): After hitting Broadway last year, the two Upper West Side lunatics played by John Mulaney and Nick Kroll have finally made it to Netflix. The special consists of the stage show, some backstage moments, and a very special “Too Much Tuna” guest. Downward Dog (8 p.m., ABC): Give this “delightful” talking-dog comedy—which may not be long for this world—a shot. In this episode, the pooch eats a ton of trash while his owner (Allison Tolman) visits New York City.